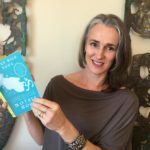 Meet Cathryn Monro, artist, facilitator, mother of two, and author of Spilt Milk Yoga, a companion guide for mothers that applies the lessons of yoga to the everyday experience of motherhood. Cathryn is passionate about honouring mothers, and about sharing her hard-won wisdom that motherhood is a spiritual path. Join us as we discuss the complexities and beauty of motherhood, and the transformative power of a regular yoga practice. Cathryn Monro is a professional artist, writer, educator, facilitator, wife and mother of two. She rates mothering as by far the most challenging, creative, important and fulfilling of jobs. Cathryn’s life, training and work combine her creative drive with a commitment to meaningful education, self-inquiry and group learning processes. In the year 2000 Cathryn gave birth to her first daughter and in 2003 to her second. Juggling her career and life as a work-at-home mum Cathryn continued her studio practice, writing, and facilitation, and spent 6 years in hands-on early childhood education with the parent-led Playcentre organisation. Over the last 10 years Cathryn has worked with students and professionals leading integrative, group-learning, practice-based inquiry processes, drawing on the experiences of group members to deepen learning, build collaborative relationships and enrich working cultures. Cathryn lives with her husband of 30 years Christian Penny, and their two daughters in Wellington, New Zealand.